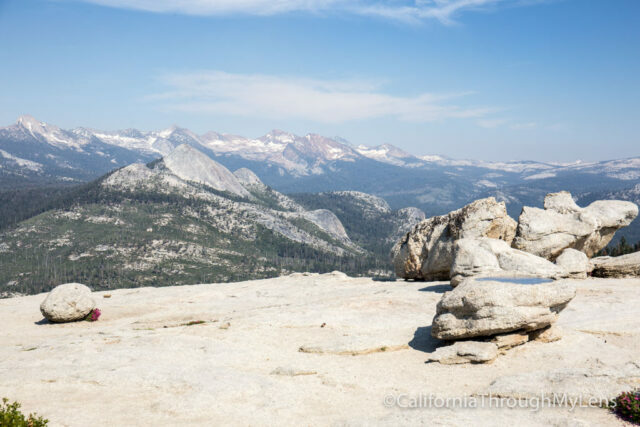 If you are looking for a lesser known spot in Yosemite National Park that is only 2 miles of hiking and has as good of a view as the top of Half Dome then look no further then Sentinel Dome. 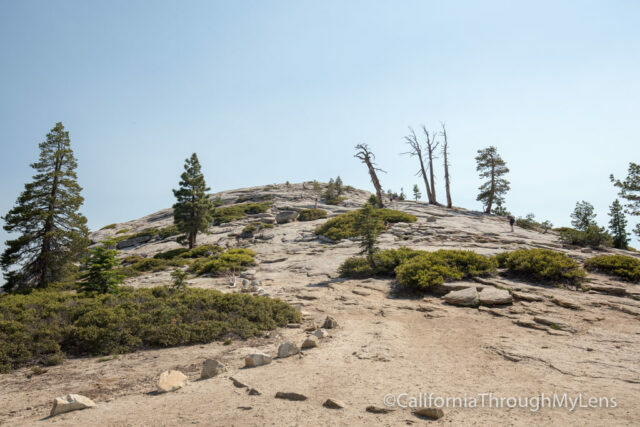 Sentinel Dome is one of those magical spots that should get more recognition than it does but that is a go-to hike for me every time I am in the park. I could spend hours sitting at the top and not get bored. 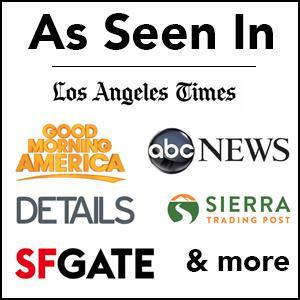 If you are interested in checking it out, then read on for all the information. 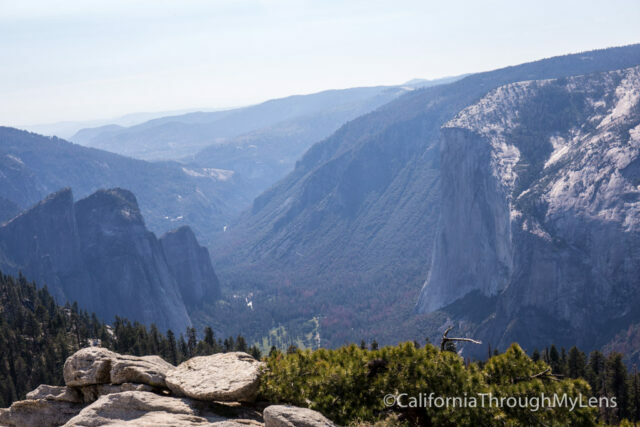 This hike is only accessible when Glacier Point Rd is open, which is in the summer. 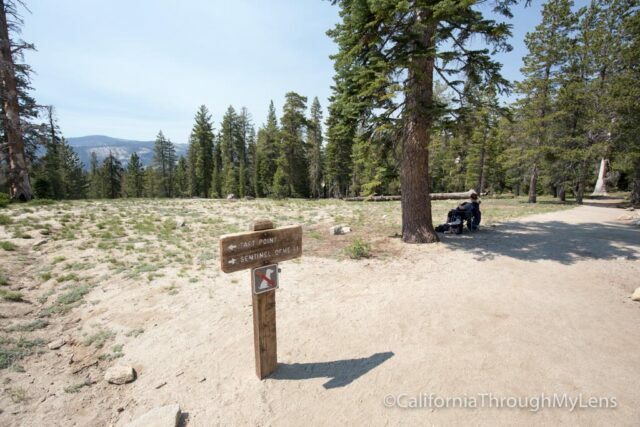 The trailhead starts at the Sentinal Dome / Taft Point stop on the shuttle, and there is limited parking if you drive yourself to the trailhead. During the summer they require you to take the shuttle from 10 AM to 4:30 PM but you can drive in if you go before or after that time. 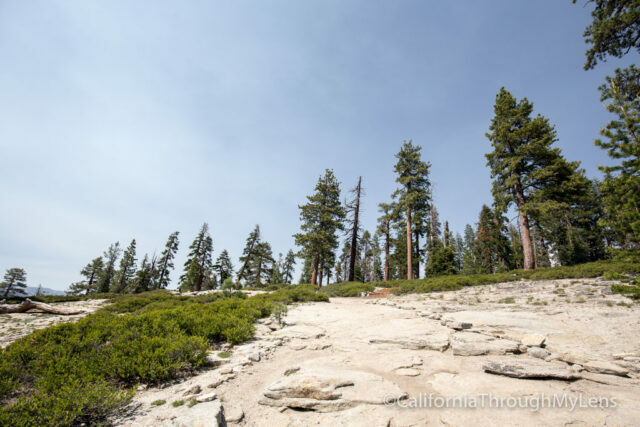 Starting from the parking lot you will proceed down about 100 feet before reaching a split in the trail, left takes you to Taft Point and right to Sentinel Dome. 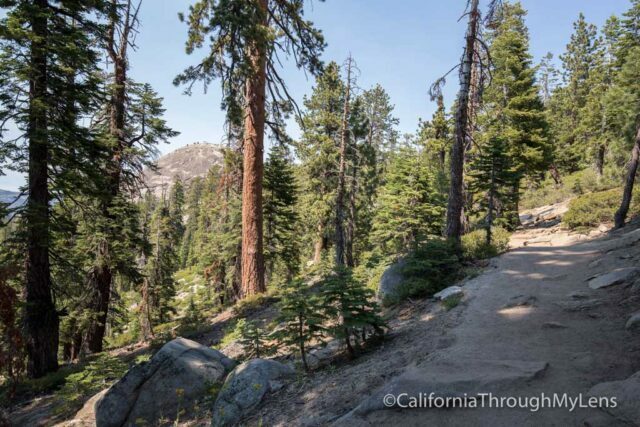 Continuing right, you will head down into a section of trees before crossing a small bridge. 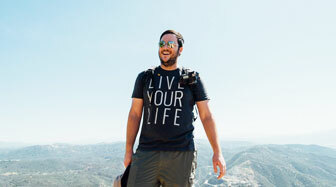 From here you will spend most of the rest of the hike on a gradual uphill. 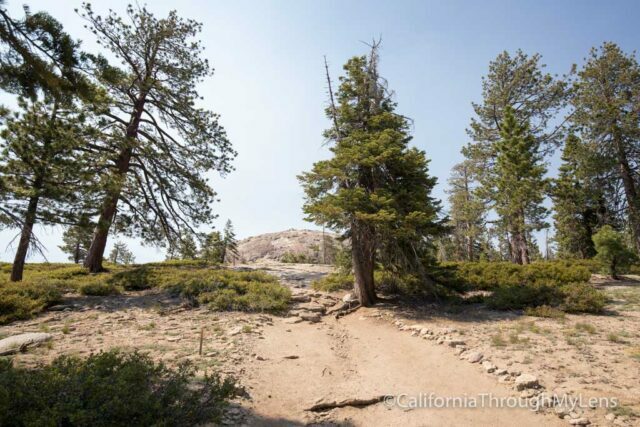 The next section heads up a dirt trail which goes over different broken pieces of granite. 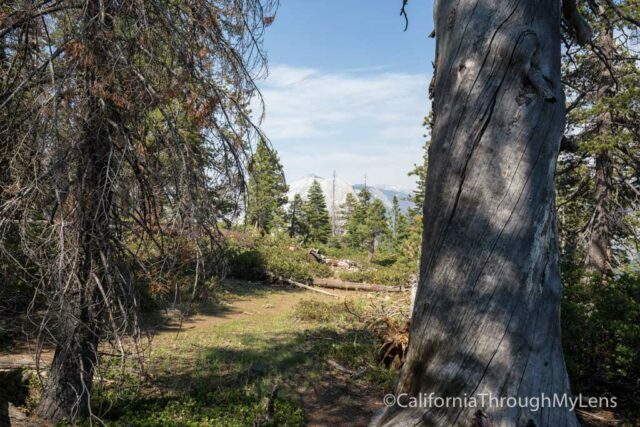 From here the trail continues up and into some trees before giving you your first real view of Sentinel Dome in the distance. 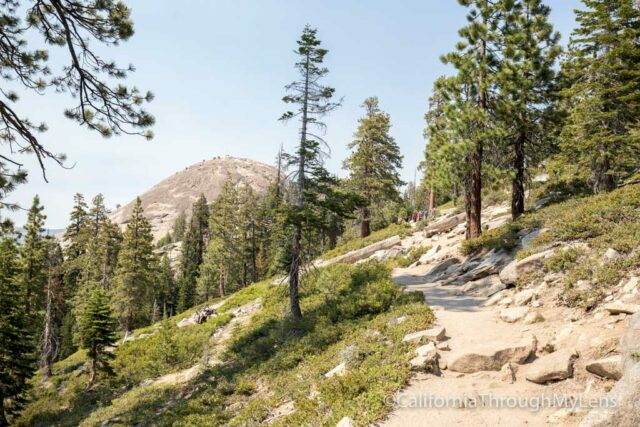 Proceed along the path and you will reach another uphill section of granite. 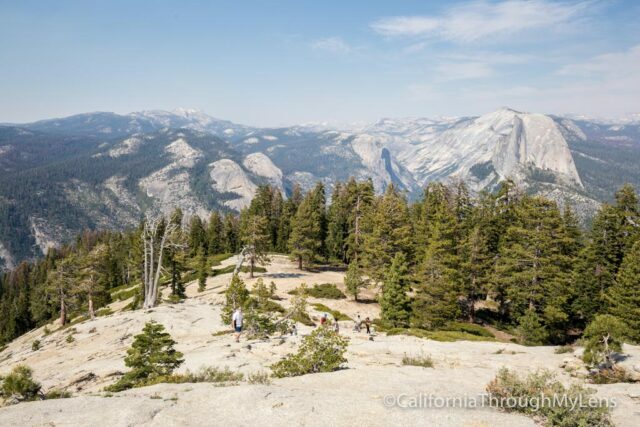 Here it heads back into the trees once again, and you will see Half Dome itself peeking through every once in a while to your right. 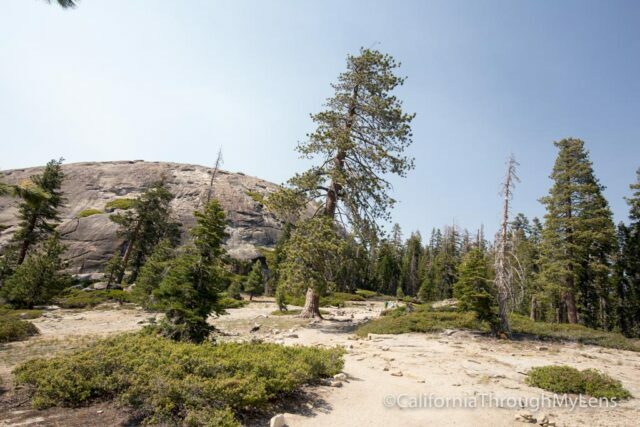 The trail goes up to the left in the last .2 miles until you reach the base of the dome. 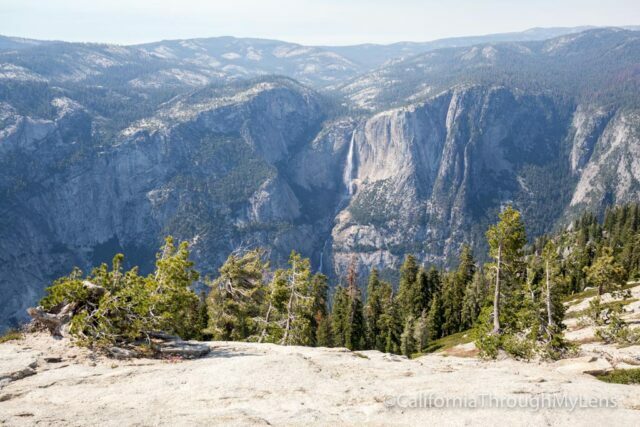 From here you can already see Yosemite Falls to the right and you just need to take your time as you walk up the dome itself. There is no real path, so you just need to continue up whatever section looks easiest. 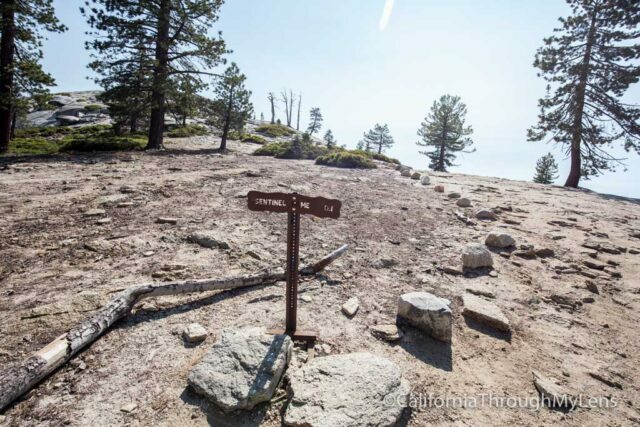 This is also where you will feel the effects of the elevation so take your time. When you eventually top out on the dome itself, you will be greeted with a fantastic 360-degree view. This is one of those views where you just sit down and stare in awe for a while. 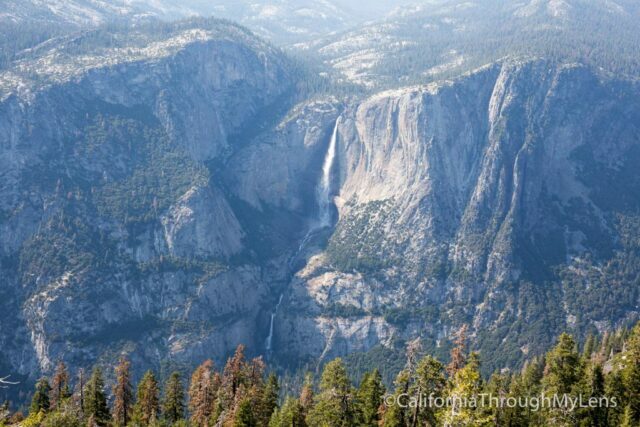 On one side you have Yosemite Falls. 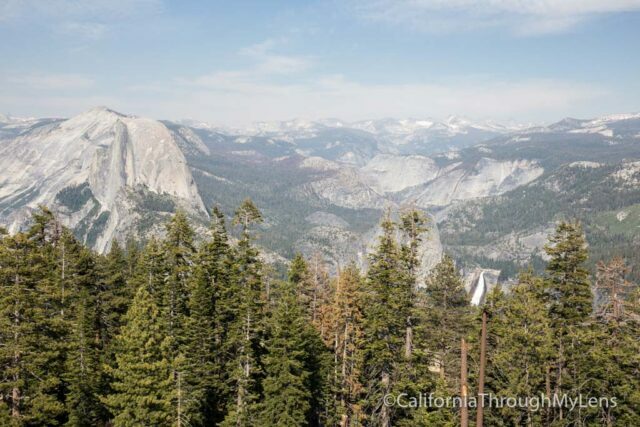 On the other, you have Half Dome. On the third you have El Capitan. 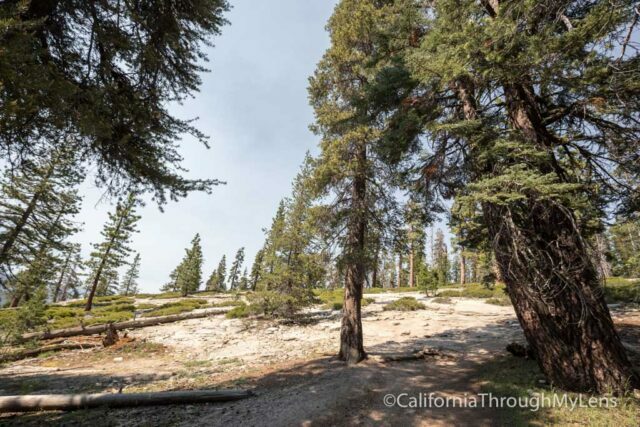 On the last, you have the backcountry of Yosemite for as far as the eye can see. This is a spot where I generally bring lunch and just eat while taking it all in. The top is a lot larger than it looks, so there is room to walk around and explore while up there. After you have finished you will simply walk back the way you came, take your time coming off the dome though as it is slippery heading down. 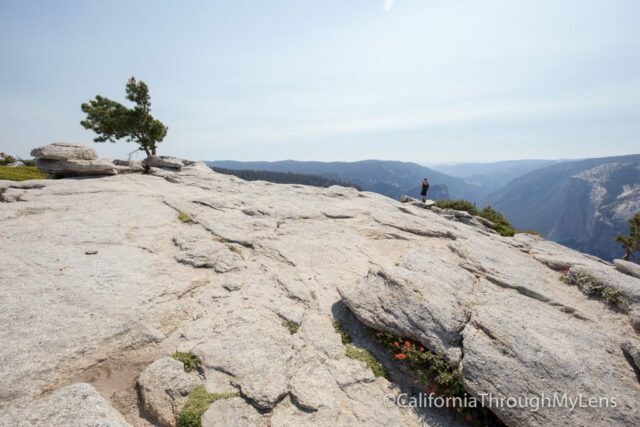 Be sure also to hike to Taft Point if you are in the area as it is another fantastic spot to see in the national park and it starts from the same trailhead. Let me know your thoughts in the comments.